French media outlets have raised questions regarding properties acquired by Qatar’s Attorney General and Chairman of Rule of Law and Anti-Corruption Center (ROLACC), Ali bin Futtais al-Marri. Those questions were raised after Le Point said that Al Marri has a relatively long list of expensive properties across Europe that are difficult to be explained in relativity to his official income. According to one report, the Qatari official bought “himself a three-story mansion at 86 Avenue d’Iéna, just a stone’s throw from the Arc de Triomphe, for 9.6 million euros in October 2013. The capital of real estate company IENA 86 is divided into 100 shares, which are owned by Marri (98 shares) and by two of his sons, Hamad Ali, born in 2002 (1 share), and Tameem Ali, born in 2013 (1 share),” wrote Le Point. Now Mediapart is saying that the IENA company has accounts at the National Bank Of Kuwait, specifically its branch at the Champs Elysees. In addition, his Swiss company also holds accounts in the Geneva branch of same bank. It added that these revelations pose a number of questions. The first that comes to mind, and “most obvious” is: Where did the funds come from which allowed the Qatar’s Attorney General to become a prestigious real estate owner? Another question raised focused on the choice of using a Kuwaiti bank when the Qatar National Bank, located at 65 avenue d'Iéna, just a stone's throw away from the mansion in question. Would Ali Bin Fetais al-Marri perhaps not wish his employer, Qatar, to be aware of his real estate acquisitions? In February, Le Point, one of the top five national magazines in France, called into questions Qatari Attorney-General al-Marri’s status as a minister and official focused on anti-corruption cases given doubts raised regarding the source of his own wealth. 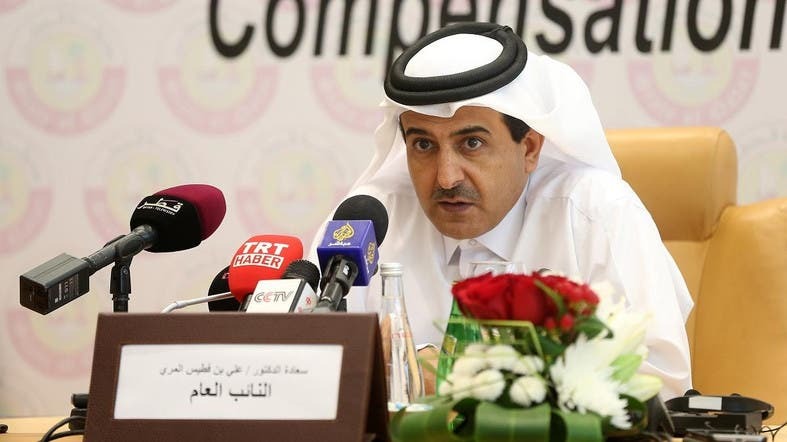 This comes at a time when Qatar's ranking in the fight against corruption on the Transparency International has deteriorated, according to World News Media.com. Qatar ranked 22nd in 2015 and 31st in 2016.